#1: Social Vibe: I’m raising money for education but not in the way you’d think. Here’s how it works. Click on the social vibe widget (further down my sidebar) and it’ll open to a set of Company based ads. You watch the ad and the company donates money to the cause. It cost them money and each of us 5 minutes of our time. A really easy/great way to give back. 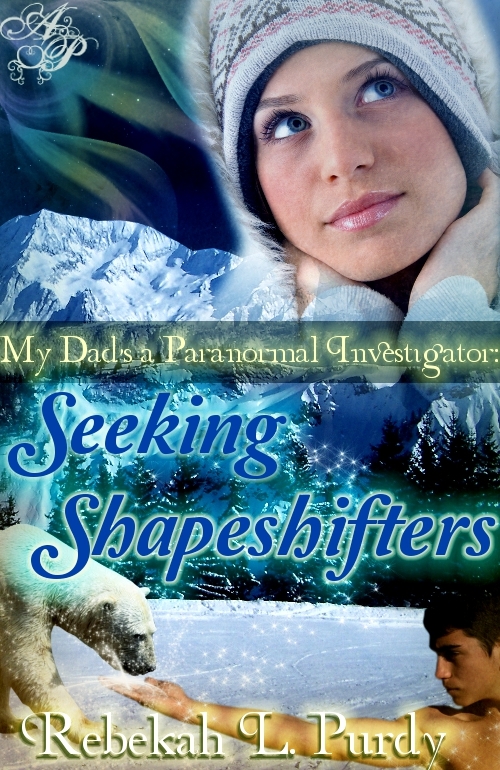 #2: The 2011 Debut Authors Challenge – hosted by The Story Siren. This is exciting to me. Because as a writer it’s easy to sometimes write/critique and forget to read. (Or get too busy to read). I’m hoping this challenge will help me step back even more to simply enjoy a book and of course support Debut Authors. Just found this out as well, each month/for every review done on a debut book participants names are put into a drawing for a prize pack. Below is a photo of January’s pack. Let me just say, WOW! #4: Totally 4 YA: It’s a fantastic NEW authors group geared completely at teens, their lives, their world, YA reading, YA writing… the list goes on and on. #5: A *hush-hush* sisters site getting ready to launch. As you can see it’s starting off to be an exciting year already! Oh and before you go, don’t forget to tell me, what’s new with you? Finally Friday Segment:Introducing Baby Girl, BeeGee, BG. Sitting back I realized a big part of my sanity when it comes to reading and writing stems from the moments I share with my 12 year old daughter, who I’ll call BeeGee (not like the group, but like a way cooler nickname than Baby Girl). Hmm, maybe I’ll go lazy and just use BG, I think I will. Moving on. So BG and I sat down together this weekend and came up with the idea to do blog posts together. Sometimes we’ll have giveaways, she’ll write a post of her own. We’ll talk ‘stuff’ and focus as best we can on reading, writing, and life in the Gilbert house. Since this is our first Finally Friday Segment we’ll begin with her introduction. Should I have told them you’re in the 6th grade? So would you rather read or write? BG: Probably read. But I guess, it depends on the day. Would you rather do LOTS of math or get a tetanus shot? (Seeing as she just went in for her shots it should be an easy comparison). I’ll remember that next time you sit down to do homework. Don’t worry; it’s going on THE LIST! Mwahahaha!!! *clears throat* Okay, now back to reading. 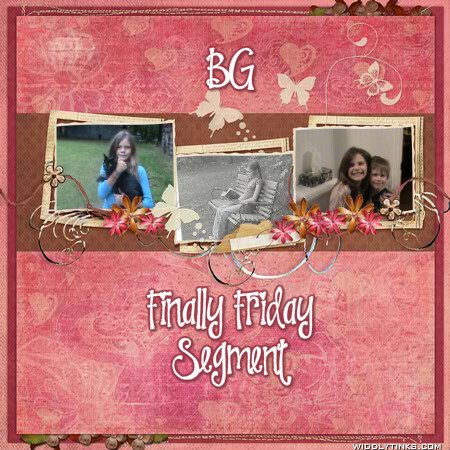 BG and I are going to celebrate the launch of our Finally Friday Segment with a GIVEAWAY. Yay!! BG: Oh my gosh Mom, we’re only giving away a book. Yeah, but tell ‘em what book. BG: It’s a really cute comedy book that we read together. Juli was a bit clueless and naive and totally crushing on Bryce. BG: Bryce was hilarious and tried his best to avoid Juli. I loved that part, (lol) and her thoughts were priceless: ‘I almost got my first kiss that day, I’m sure of it.’ When the whole time Bryce is trying to get away. The book we’re talking about is Flipped By: Wendelin Van Draanen. BG: Yeah, Flipped is totally flipping awesome!! BG: Or someone you love. Go ahead and leave a comment. Anything to add, BG? BG: How will the readers know who wins? Maybe we could number the comments and draw a number. BG: Do I get to draw the winner? Okay, so there you have it, you have the weekend to comment. Thanks for stopping by. And a quick recap, don’t forget to leave a comment for your chance to win Flipped and while you’re here say ‘hi’ to my baby girl–don’t tell her I said that–and let us know what you think of our Finally Friday Segment. BG: Be our first WINNER!! (And so you know, we ordered the book from my scholastic book order…and I’m not exactly sure how soon it’ll be in).